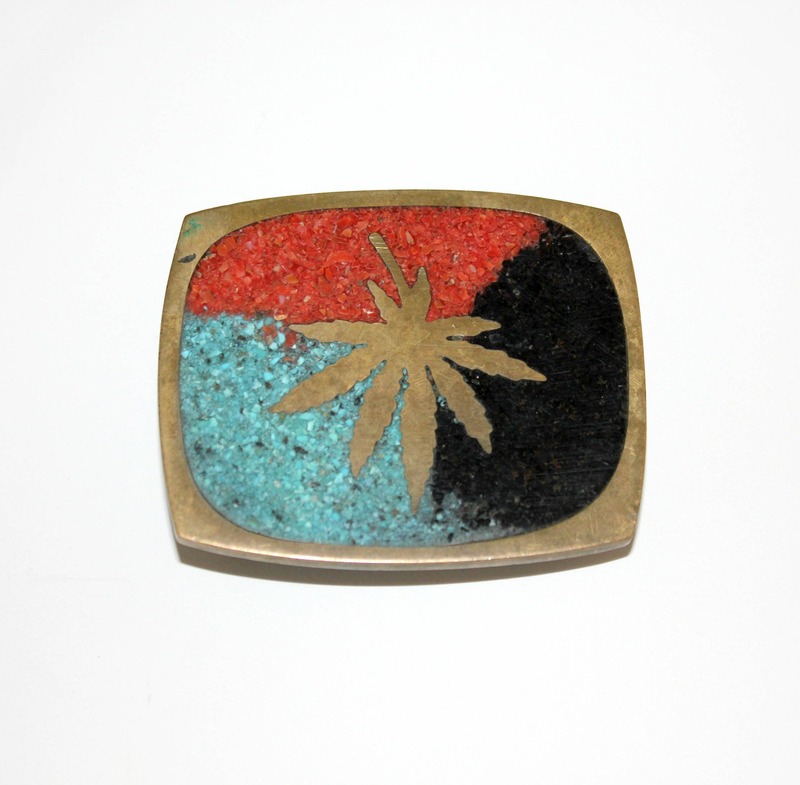 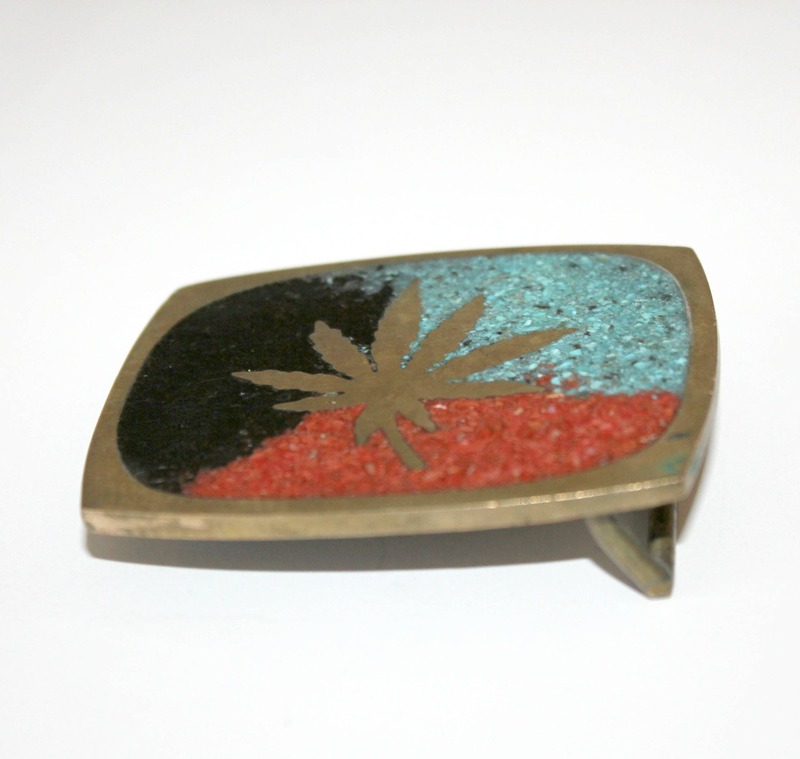 A vintage brass belt buckle featuring a pot leaf in the middle, surrounded by a tiny mosaic stone look inlaid piece in turquoise, black and rust. 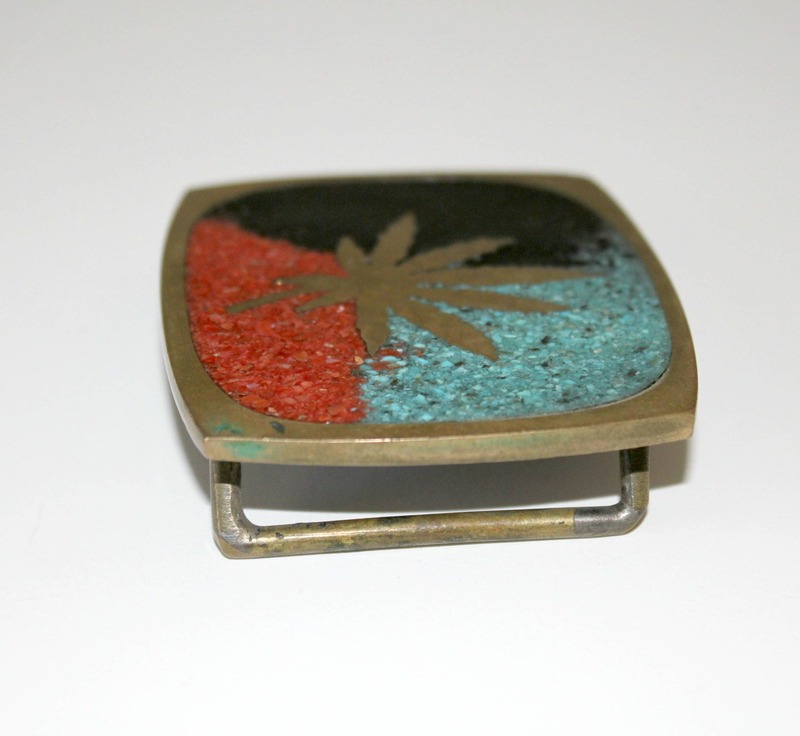 The buckle measures 2.75" x 2.25". 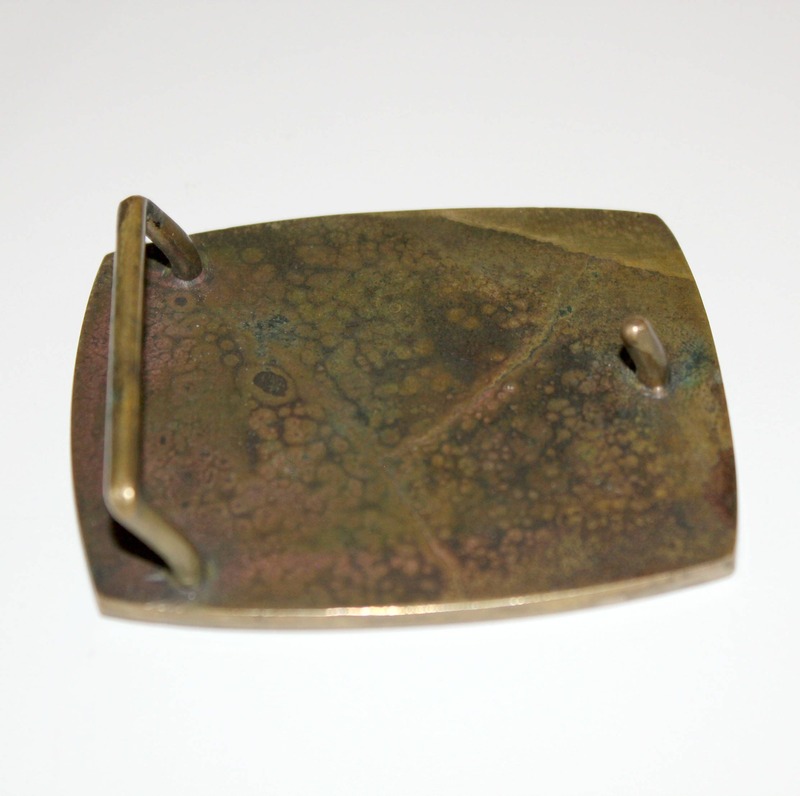 There is wear and discoloration to the buckle as shown in the photos, and what feel like some tiny indentations in the colored areas . 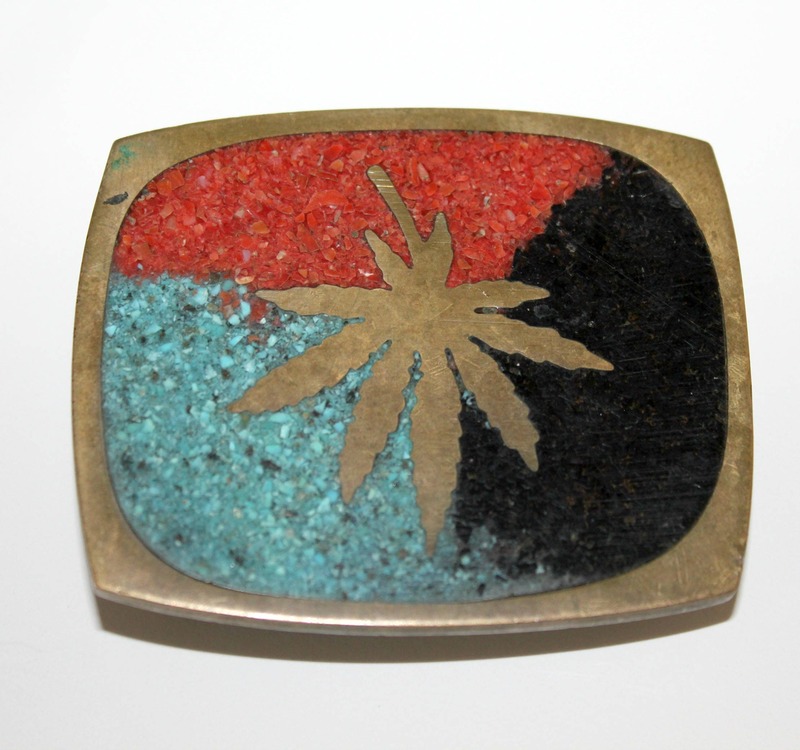 No maker name on the back.